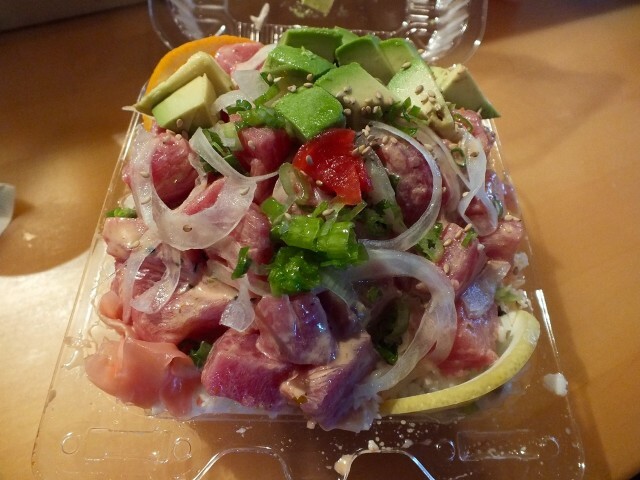 Tuna poke with Kilaeua sauce, avocado octopus. Photo by Ed Simon for The Los Angeles Beat. Seaweed Salad CU. Photo by Ed Simon for The Los Angeles Beat.